Unless you are a registered breeder, spaying or neutering your pet is a decision we all face. Although neutering your pet is universally recommended, when this should happen is still a topic of some debate. Spaying, neutering, desexing and castration all refer to the removal of all, or some, of the reproductive organs of an animal i.e. surgical sterilization. Spaying is a term used for females while castration is for males. Generally, vets will neuter kittens and puppies at six months of age. Rescue shelters and some vets neuter their animals at 8-10 weeks of age. Earlier neutering is particularly relevant for female cats that can become pregnant at only four months of age. By waiting until your female cat is six months old means you may end up dealing with an accidental litter of kittens. Early neutering or spaying refers to sterilization performed before a pet reaches six months. It can be performed safely and with no adverse effects, however always consult your vet who can advise you regarding the best age for your pet to be sterilized based upon their breed, health condition and your situation. 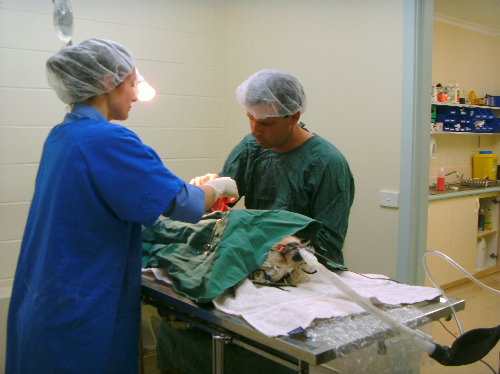 Although sterilization procedures are the most common surgeries for vets, it is major surgery performed under anaesthetic and carries some risk. Your pet will need a few weeks to recover and heal afterwards. Neutering animals helps reduce the serious issue of overpopulation in rescues and shelters and the need to euthanise otherwise healthy animals. Spaying prevents female animals from coming “into heat” or into season, attracting males, and stops any chance of unwanted pregnancies. You do not need to allow your female animal to give birth to a litter before having her spayed. Many undesirable behaviours are reduced such as roaming, urine marking and aggression. Spayed and neutered animals tend to be calmer. Males in particular are less likely to fight or display dominant behaviour. By reducing the tendency to fight, there is also less chance of injury and other medical treatment. Conditions such as pyometra or uterine infections, cysts, prostatic diseases and cancer of the reproductive tract, breast, uterine, ovarian, cervix, prostate and testicular cancer are eliminated. Females can experience serious complications during pregnancy, delivering and nursing. There’s also the risk of any offspring needing specialised veterinary treatment. 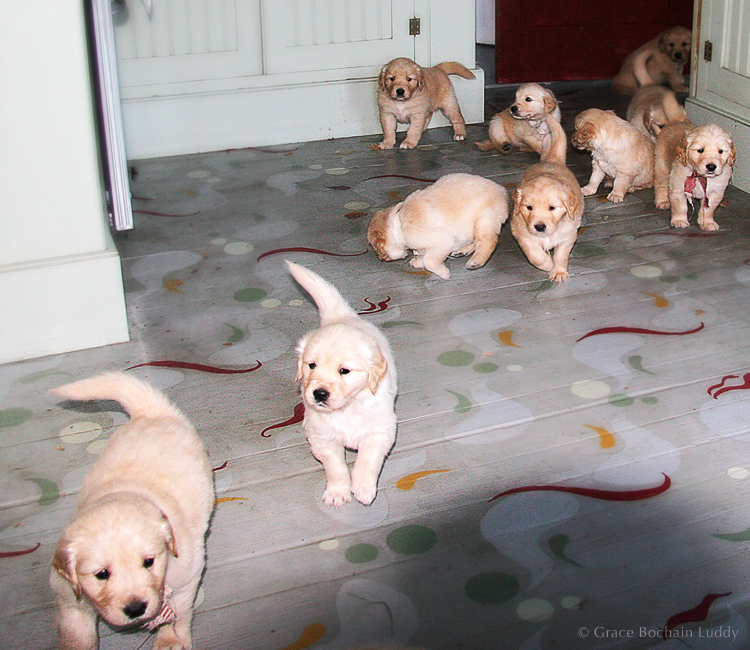 Any offspring need to be vaccinated, wormed, treated for fleas and ticks and rehomed. Hereditary diseases associated with breeds or bloodlines are not passed on. There has not been enough research and scientific study to prove that early spaying or neutering causes additional concerns other than those associated the procedure being performed when your pet reaches six months. A small percentage of females may develop some incontinence. This is more common in overweight animals and with particular breeds. Incontinence can be managed effectively by treatment. Dogs may be slightly more at risk of developing hip dysplasia and cranial cruciate ligament (CCL) ruptures, particularly those breeds susceptible to these conditions. There are some reports of animals not reaching their full expected height. It is surgery performed under anaesthetic and has associated risks. Recovery can take 10-21 days. Some animals may experience weight gain due to metabolic changes. This is easily managed by decreasing food intake slightly, increasing activity or changing your pet’s diet. Some females become more susceptible to infections of the urinary tract. Increased risk of developing hypothyroidism when thyroid activity is low and subsequently can affect growth and mental development. Your pet’s hormone levels are changed and may lead to changes in behaviour. For breeds already predisposed to these cancers, there is slightly increased risk for bladder cancer, osteosarcoma and for dogs, hemangiosarcoma which is an incurable tumor of cells that line blood vessels. Neoplasia or abnormal tissue growth may also occur.